"Grandmother's Heart Charm Necklace, Little Bits of Love for Three Grandchildren"
Little bits of love grandmother's necklace is so precious. This necklace comes with three hearts to represent your three grandchildren. 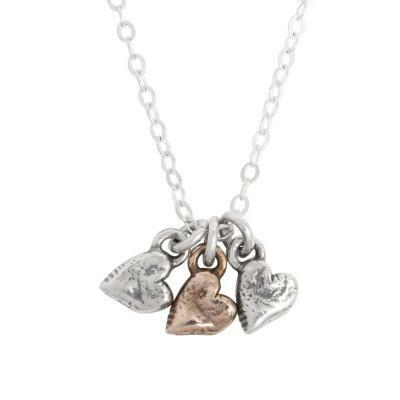 This grandmother's necklace comes with three hearts ~ perfect for a grandmother of three.